Office interior represents the entire company, which is why cutting corners on decoration is not one of the options. It is crucial to carefully think over your interior theme, objectively evaluate your space dimensions, and look for fine quality solutions that will serve you and, consequently, your employees for a very long time. Do not try to look for extravagant solutions – they tend to get obtrusive if you watch them for 40 hours per week. On the contrary, look for something simple, but elegant. Solid wood furniture is a classic example. 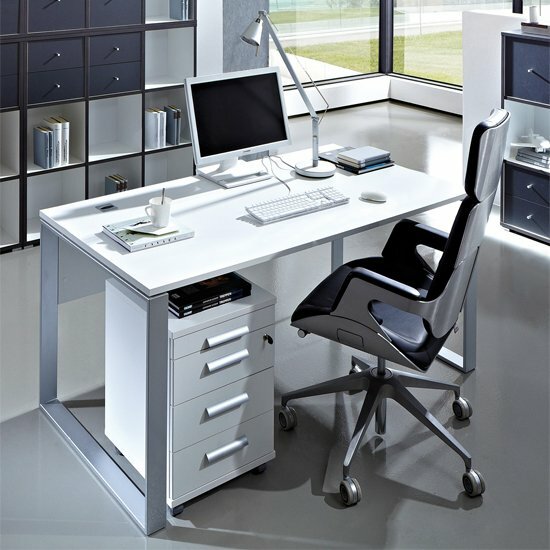 Lacquered shiny MDF can also be beneficial for some modern offices. Create contrast when possible – for example, lighter walls and darker floors; or – light desks and dark chairs. Do not mix too many colour palettes – two basic shades are enough to create contrast. Do your best to optimize your available space. Look for compact units with supreme storage capacity, avoid bulky furniture items, think of corner furniture if possible – it offers a chance to open up the middle of the room and make it more spacious visually. Create cozy relaxation spots – like a coffee room, or a smoking area. Here, you can experiment a little and choose brighter furniture or wall shades. Think of a compact stylish coffee table, a couple of plants – perhaps, even hang some pictures on the walls. Light rooms are more cheerful – that’s a fact. Ideally, the room should have plenty of natural light. Plus, you should think of winter seasons in advance and take care of the artificial illumination. The more light – the better. If you still haven’t purchased any of the furniture items for your office, it is advisable to look for them all in one place. First of all, ordering in bulk is usually cheaper. Next, finding matching items within one store will be much easier. And, finally, you will not have to waste plenty of time managing several orders from several different stores. Speaking of stores, you should probably check big local chains first. A good example in UK is Furniture in Fashion . This is a solid, reputable platform that features great product selection, reasonable pricing policy, quick delivery times, and impeccable customer support service – so you should at least check it out.